The Edinburgh club will apply to the Court of Session to appoint administrators. Heart of Midlothian Football Club are to apply to go into administration. The Edinburgh side has signaled its intent to apply to the Court of Session for administrators to be appointed. In a short statement on the official Hearts website on Monday, the club said: "Heart of Midlothian Plc can today confirm that it has served a notice of intention to appoint an administrator. "The notice was served at the Court of Session in Edinburgh this afternoon." KPMG has been approached to be the club's administrator. 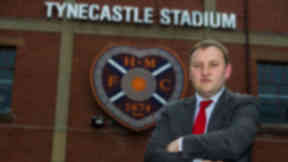 The company released a statement on Monday evening in which Blair Nimmo, head of restructuring at KPMG in Scotland, said: “We have been nominated by the club’s directors as potential administrators of Heart of Midlothian plc. Should the application be granted, the club will start the new Scottish Professional Football League season on minus 15 points. Former Hearts chairman Lord Foulkes told STV, "What it needs now is swift action. Action to sort out the situation in Lithuania so that we know that that complicated, difficult situation becomes clearer. "And quick action to get in potential investors to join with the Foundation of Hearts to ensure that we have a viable and sensible ownership option for the future." Ian Murray MP, who is leading a fans' takeover of Hearts, said: "Today is just the result of an inevitability that we all thought would happen eventually. "Administration is a dreadful thing. Any football club and any business should pay their way, and Hearts have now ran out of cash to be able to do that but hopefully this administration will provide some clarity — provide some clarity around ownership, provide some clarity around what the club's finances actually look like ans should provide some clarity around to potential bidders and investors for the club about how they're going to be able to do that. "And being able to deal directly with a firm, a respected firm, like KPMG is certainly an awful lot easier than trying to get through the mire of the different organisations that are currently controlling the club in Lithuania." In a statement released on Monday evening, the MP — who is also the independent chairman of Foundation of Hearts — said: “Today is the darkest day in the history of Heart of Midlothian Football Club, but in tragedy which has finally befallen the club, we must look to the future. “A club with a history as rich and proud as any in the world, now only us, the supporters can ensure Hearts has a future, and not just a future, but a future we can be proud of. “The decline of Hearts into administration is not as a result of those people who are tonight suffering. The staff, who have long worked under great pressure, and the supporters, who have put in millions to keep the club alive are not to blame. Those who have caused this pain are culpable. “But our focus must be on the future, even if today hurts as much as it does. The Foundation of Hearts is committed to a fan-led, community governed, transparent, and well-structured football club, at which supporters are at the very heart. “We are backed by every one of the key supporters groups, by a significant group of former players, and by key players in the Edinburgh business community. “We are set to launch our pledge conversion campaign in the next 24 hours and with time of the essence we ask all supporters to pledge what they can in preparation for the biggest fight of our lives, to keep our club alive. 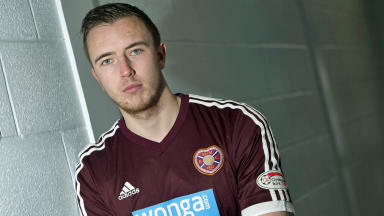 “There has been speculation upon speculation as to potential bidders for the club but that is all that it has been. The only real and credible buffers at this stage are the Foundation of Hearts and that is why we are asking every Hearts fan for their support." 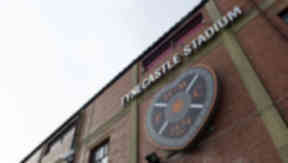 Hearts failed to pay their players' wages on time last week, triggering a registration embargo from the Scottish Premier League prohibiting them from signing any new players. The club also announced they would consider any "realistic" offers for their players, announcing a shortfall in cash for both June and July. Hearts are also facing a winding up petition from HM Revenue and Customs after failing to pay a £100,000 tax bill on time.